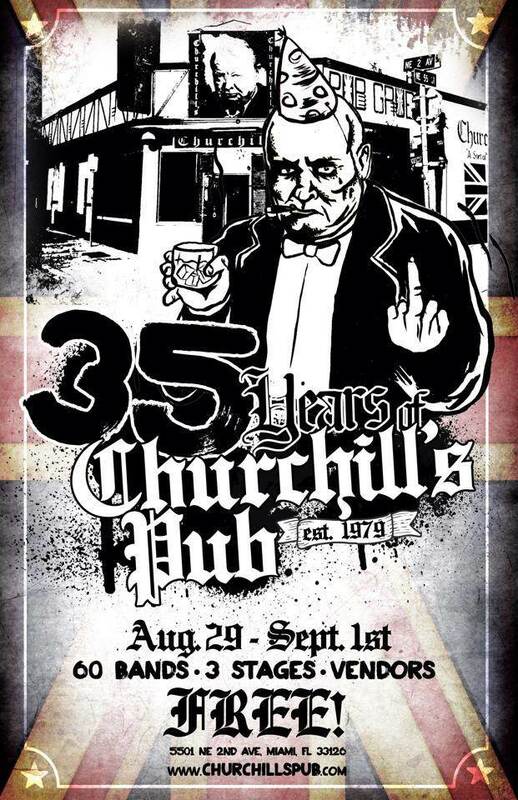 This weekend we celebrate 35 years of Churchill's with a 4 day festival starting Friday! There is no cover for all 4 days and it will feature over 60 bands, great food, t-shirts, and more! 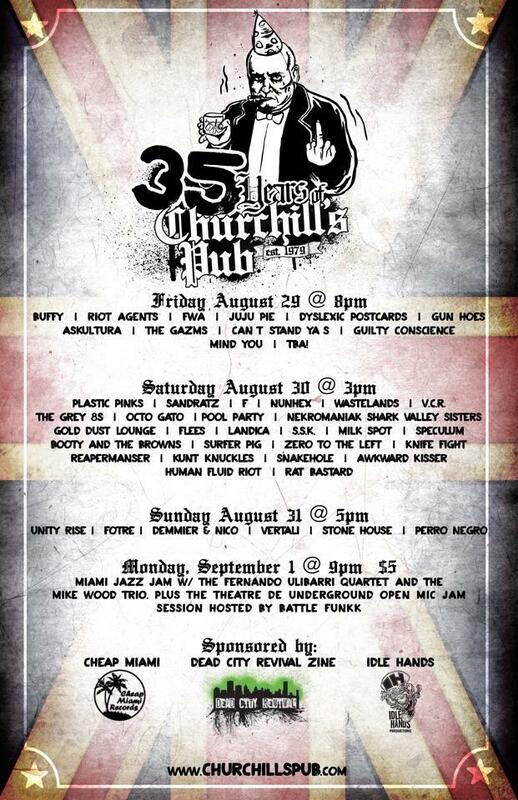 Check out the article in Miami New Times http://blogs.miaminewtimes.com/crossfade/2014/08/churchills-pub_35th_anniversary_miami_2014.php and also check out the facebook event page https://www.facebook.com/events/1459451884323226/ See you this weekend!